We are excited to introduce you to one of our Finnish Ambassadors, Miro. He has played an impressive amount of rounds with GameBook, 709 to be exact. Miro started to golf when he was 11 years old. He had to stop playing golf for about 6 years because he solely focused on handball at the time. However, he started golf again in 2010 and he’s been a GameBook user since then. My parents inspired me to begin golf. They actually got exhausted of having me around in the summer time… So, they sent me to a golf camp that was near our summer cottage. Miro still remembers that they didn’t have any lefties clubs at the summer golf camp so he had to start playing from the right side. However, he started to putt from the left side. So it must have looked a bit funny. The main goal in the first rounds was not so much where the ball would end up, but rather how far we could hit the ball. As a kid, golf was a nice way for me to spend time during the summer. Miro had a 6 year break from golf when he was solely focusing on handball but then came the injuries. At that time he had to stop playing handball and he suddenly had a lot of time in the summer, so he started golf again and got really addicted to it. 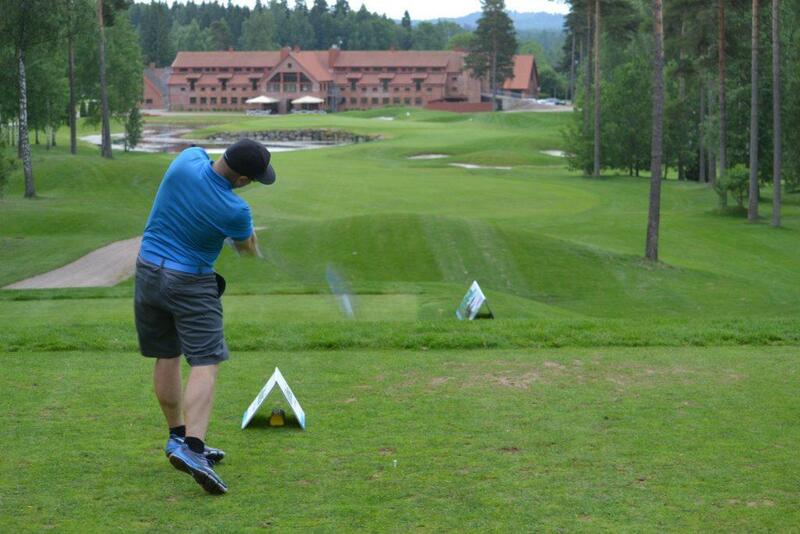 Miro at Linna Golf, Finland. When I started to golf again after the short pause, I was instantly addicted to golf. It’s one of the best ways to spend multiple hours outside enjoying good company. In addition to golf, handball is Miro’s passion. He’s an international handball referee. 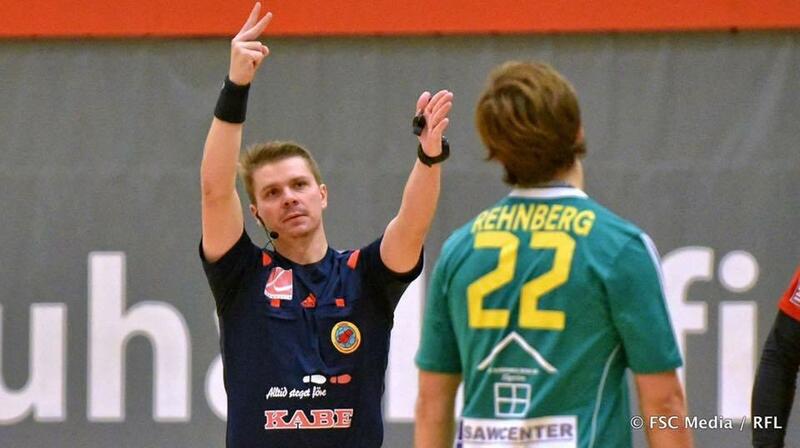 So during the winter, he referees Finnish handball games and some games abroad as well. In the summer time, Miro has time to enjoy golf. Due to the refereeing, he keeps in shape by running, cycling and swimming. Miro is an international handball referee. Miro’s favorite feature on GameBook is the social part of GameBook. It’s fun to see where my friends are playing and to be able to comment their rounds. I also like to use GameBook for multirounds and multiple groups games. It’s a blast to be able to track the scoring of each player in real time. He mostly golfs with a couple of his friends, but if it’s a jump start, he doesn’t mind playing in a group with people that he doesn’t know yet. He says that then there’s a great opportunity to show GameBook to new users and get them hooked on it as well. If Miro could choose any three people in the world to golf with, he would select Jack Nicklaus, Rory McIlroy and Bill Murray. Miro’s idols in golf are Jack Nicklaus and Gary Player. His all-time favorite golf course is Yas Links in Abu Dhabi. So what courses are on Miro’s bucket list? Miro has an interesting set of clubs, as they’re all extinct. All but one is from Nike. He has a Vapor flex driver, 3 wood Nike Vapor Pro, the Hybrid is Adams golf, irons are Nike Pro-Combo and Pros and wedges are Nike Engage. His putter is his absolute favorite club in his bag and it’s the Rory edition Method prototype 006. 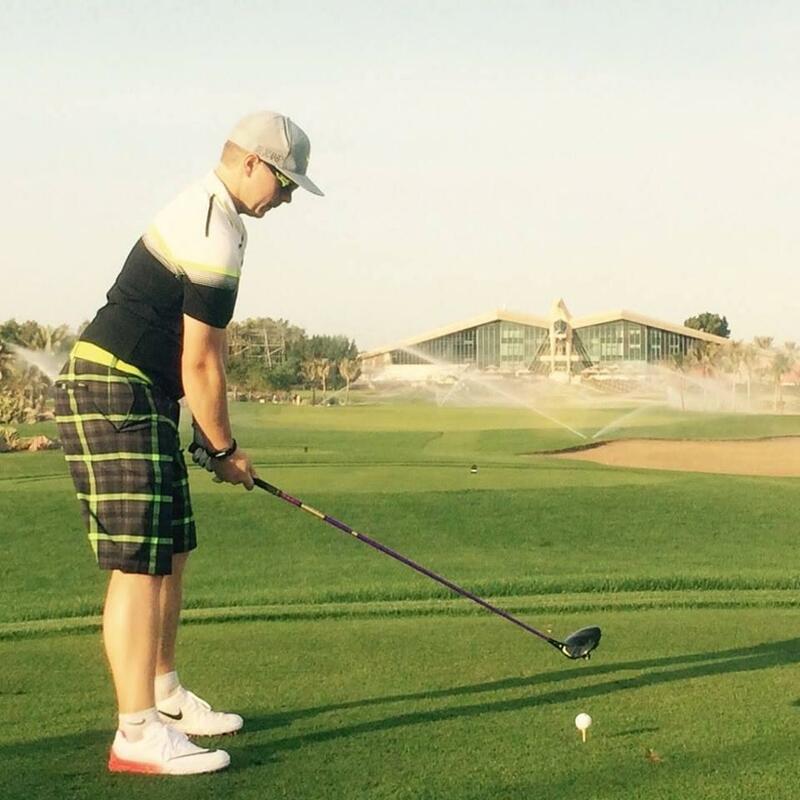 Miro has a fun story to share with us from his golf experiences. It was a couple of years ago when my driving was so bad that I couldn’t even play a round. I was playing with my friend and he shoots from the left side so I told him to give me the driver, because it can’t be worse than what I’m now doing. Miro tested his lefty driver for a couple of holes so that he flipped the driver and hit it still from right as normal. He was so happy that the balls were in play, so after the round he went to the nearest golf store and bought himself a lefty driver. 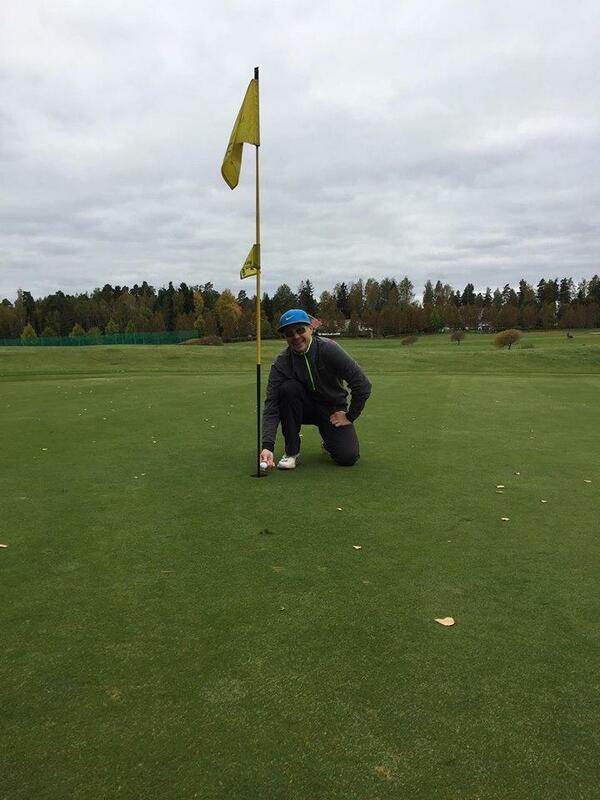 Miro made a hole-in-one last year with a 9-iron on the Forest course at Pickala Golf.